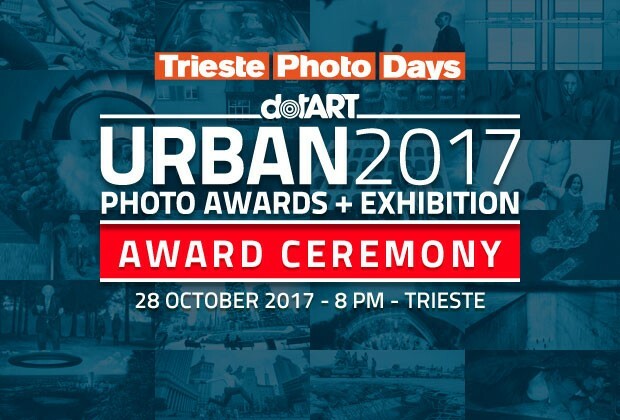 After a great summer of international exhibit previews, we are finally happy to announce the winning pictures and portfolios of URBAN 2017 Photo Awards, promoted by Italian art association dotART together with Photographers.it, Sprea Fotografia (media partner) and Stampa-Su-Tela.it (main partner). On the following list only one name is missing: the URBAN 2017 Winner Overall. It’s already been chosen by Jury President Maurizio Galimberti and will be announced on Saturday October 28, 2017 at 8 PM at Trieste Photo Days festival during the award ceremony. Maurizio Galimberti will personally award the winners. The photos for the exhibit will be printed by URBAN’s main partner Stampa-Su-Tela.it. The buffet will be kindly offered by Piolo & Max craft distillery. Winners will share a € 6,000 prize value, 1,500 to the overall winner, among other prizes offered by partners (Think Tank Photo bags, Stroppa straps) and their picture will be published on prestigious international online photo magazines, as Lounge Magazyn, The Post Internazionale, DNG Photo Magazine, Street Photography Magazine and Prism Magazine. Among the prizes, there has been a prestigious exhibit (in August) at the Porec Museum (Croatia) for 3 ranked portfolios: :“Nothing will stop us”, by Silvia Andrade, “Nonna Angela”, by Christian Milotic, and “A Transporting Experience” by Ricci Shryock. In addition, a selection of single images and projects will compose the third edition of “Urban Unveils the City and its Secrets”, that will be presented at the Trieste Photo Days on Saturday, October 28, before the award ceremony. URBAN 2017 has seen more 4,120 photos and 253 portfolios for 1,015 participants from all over the world.